Zoukout has just announced they will be having a Prelude edition show in the Philippines for 2016, however Zouk Singapore has yet to release the full details regarding the event. Zoukout 2015 did not stop partygoers from having the time of their lives even with the rain that lasted hours. Organizers said it was the first time in years that the rain almost didn’t stop. Thousands of people didn't bother to take cover as it rained over the weekend at Sentosa's Siloso Beach as DJ after DJ took the decks last month. 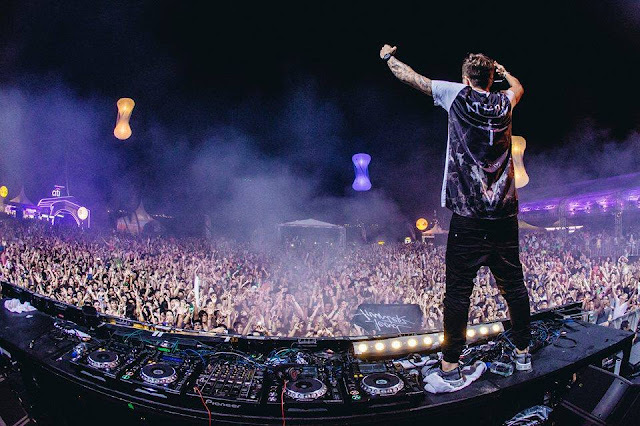 A DJ entertaining the crowd at Zoukout 2015. Dutch DJ Armin Van Buuren said "really proud of the people in Singapore" for lasting through the downpour. Halfway through when the rain finally let up, he gave credit to the crowd, saying: "If we are united, we can make the rain stop." The two-night annual music festival welcomed over 45,000 people but it did not manage to break the previous year's record of 50,000 people. The line-up included international DJ's such as Tiesto, Van Buuren, Paul Oakenfold, DJ Snake, Axwell and Ingrosso as well as Oliver Heldens. For more information, do visit ZoukOut’s website or Facebook page.